"I would recommend Above Average Moving to anyone who has a need to move something. Very prompt, excellent professionalism. Terry and Dave were very conscientious of my property and treated it with respect. I had to store my items for 2 nights and knew it was secure. 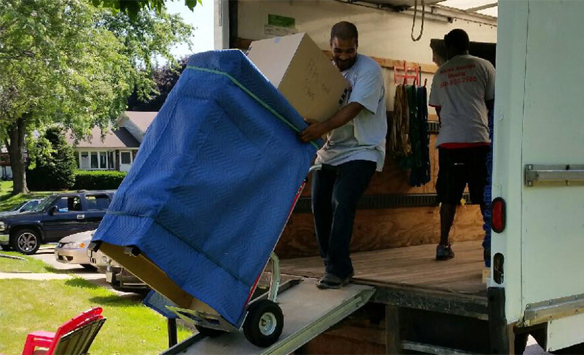 When they came to deliver, they h..."
From moving one piece or the entire home, our Madison movers can handle it all. We are local Madison movers, but serve all of Wisconsin and some areas of Illinois, Iowa, and Minnesota. Above Average Moving is made of Madison movers with over a decade of experience in the moving industry. Our goal is to provide our customers with an Above Average Madison moving experience from the time you make the first phone call ‘til the end of your move. 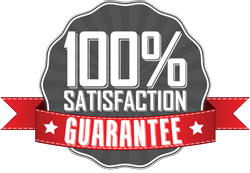 We are Madison movers who take pride in knowing that what we provide is working for our customers. Let our experienced Madison movers worry about disassembly and reassembly for your beds or other large furniture. We supply all of the necessary equipment for your move including moving blankets, dollies, straps, tie downs, etc, to protect your furniture and personal items. We also offer packing and unpacking services. Moving is stressful enough, so let us take the weight off your back with our professional Madison movers and PvP insurance included at no cost to you. With so many Madison moving companies out there, make the right call for your Above Average Moving experience. We can schedule early morning start times or afternoons too. If you have a crazy closing schedule, that's no problem - we offer overnights on the truck. Our daily operations are Mon-Sat at our normal rate, and we offer Sunday and holiday moving at an additional rate. Contact us today and discover all we have to offer. Our Madison movers are looking forward to speaking with you.